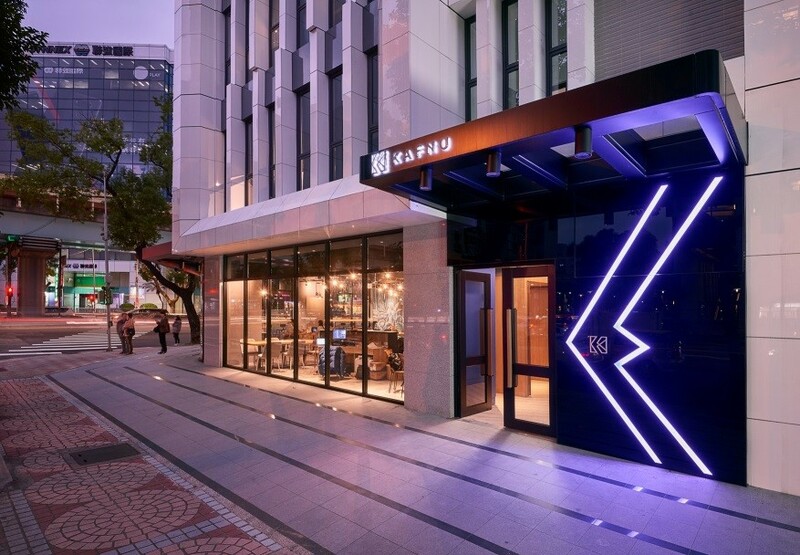 Singapore-based Next Story Group is launching Kafnu Taipei, its first outpost in Taiwan, at No.101, Section 3, Minsheng East Road. 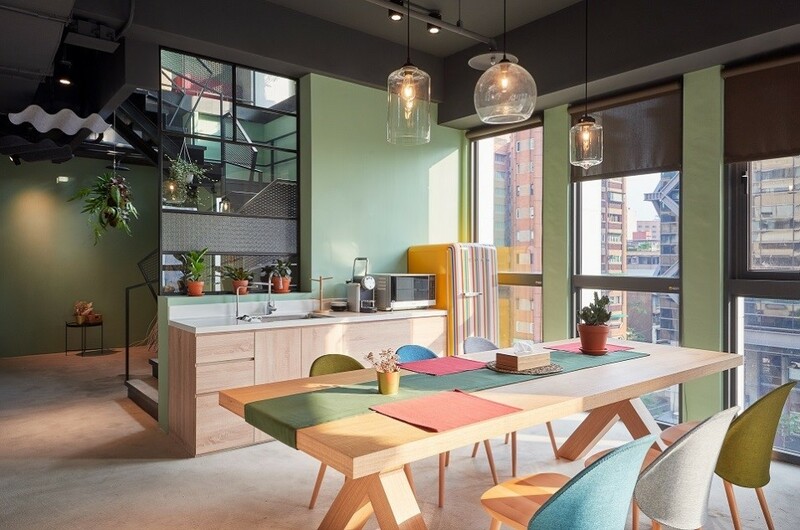 A 360° lifestyle space holistically designed to encourage creatives and entrepreneurs to thrive both professionally and socially, Kafnu Taipei blends the five elements of living, work, play, learning and rest in its design and ethos to create a dynamic ecosystem which fosters peer exchange, advice and innovation. Kafnu Taipei comes complete with meeting rooms, restaurant, capsule hotel, recording and photography studios, fitness studios and a bar. Encouraging and nurturing creative development in Taiwan, this is a space for innovators to engage with the world by enabling them to connect with professional networks and international resources, to pursue and fully realize their potential and dreams. “Kafnu is a real life physical social network designed to bring creative minds – artists, entrepreneurs, designers, start-ups and companies – together in a creative ecosystem so they can really draw on and harness the support of their peers and a wider engaged professional network. ” Says Morris Sim, Chief Marketing Officer – Next Story Group. “We provide the spaces, the tools and the services to bring these diverse groups of people together to optimize the benefits of a physical social network, to accelerate the realization of an individual, community and asset’s potential or dreams. We have now brought our concept into Taipei, and with our cutting-edge facilities and comprehensive services, we’ll establish a seamless blend of online and offline social networks to create a thriving network of Kafnu ecosystems for creatives and entrepreneurs.” Adds Sim. “For pioneering entrepreneurs and start-up businesses, location is critical to success. 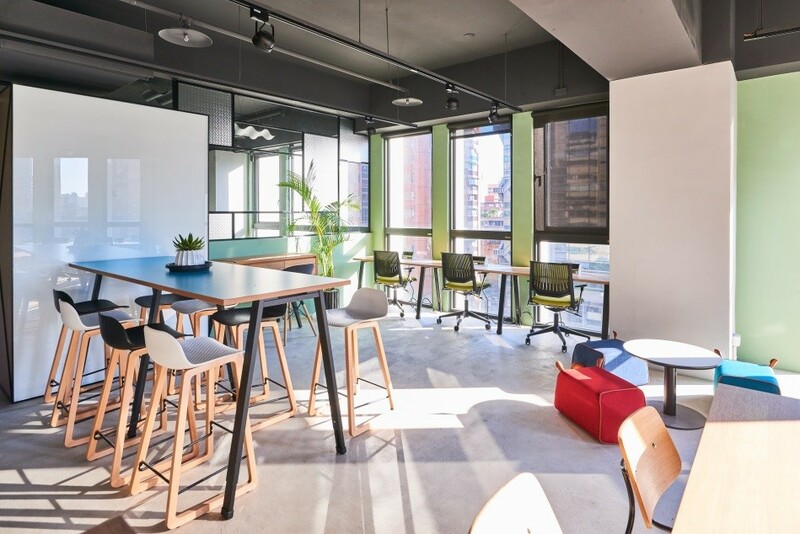 We launched Kafnu’s first outpost in Hong Kong in Oct 2017, and now here in Taipei, Kafnu occupies a 12-story building to provide members with comprehensive resources for both their work and life. Kafnu Taipei also has an energetic team of community managers to provide professional mentoring services and advice whenever required, and to help members connect with international resources and professional networks. “Kafnu Taipei will set a new standard for blended lifestyle space service provision, to guide Taiwan’s entrepreneurs and innovators as they engage with the world.“ Says Lien Chu, General Manager – Kafnu North Asia. 【Photo 2】The co-working space available for members to work and conduct group discussions. Kafnu Taipei consists of 12 floors. On the first floor, Morsel Taipei provides exquisite northern European dining experiences and is fitted out with simple kitchen facilities so that members can create their own culinary masterpieces. Floors 2 and 3 have meeting rooms and office space available for members to either work in private or to conduct group discussions. Anyone needing a break from work, or having to work late into the night, have the option of recharging their batteries in the accommodation facilities on the 4th floor. In addition to the work and rest areas, recording and filming studios with professional equipment are located on floors 7 and 8, for the use of members whose work requires them. Floors 9 and 10 are private office space, including a comfortable, spacious open area so that members have a place to socialize with others as well as spend some private time by themselves. On the 11th floor there is the Oxygen Lab fitness studio, professional fitness trainers provide a range of sports and fitness programmes to help members keep themselves in top physical and mental condition. Lastly, the twelfth floor is a multipurpose area fitted with floor-to-ceiling bookshelves and a 300-inch (6 metre high) screen for occasional movie showings. There is also the K2 bar for when members want to take some time out from the busy day, relax and have a drink with friends. Kafnu Taipei also has six aquaria, a reminder that, even in the midst of the urban jungle, there are still areas of life and natural beauty to be found. 【Photo 3】Kafnu Taipei combines working and living space with diverse facilities. Kafnu Taipei wants all its members to be inspired through interaction with others to fulfil their creative potential. To that end, Kafnu Taipei has brought together an in-house team of community managers who can contribute their boundless creativity and energy to help members connect and collaborate with each other, and who are committed to optimizing the quality of the spaces and services provided. Aside from the shared spaces, facilities and great services provided by community managers, Kafnu Taipei also wants to build an innovative working environment, a complete ecosystem. By partnering with established companies such as Airpopo, Boxful, Brand Karma, KPMG, Lalamove, Microsoft, Simpany, ShutterStock Premier, TaxiGo, Yourator, Uber & UberEATS, and SUN YAN CPA Firm, Kafnu is able to provide members services that are exclusive, preferential and comprehensive. Kafnu Taipei will operate mainly on a membership system, providing access to a wide range of options. The members-only service includes a discount at Morsel Taipei restaurant and K2 bar, professional consultation with international business partners, and the service provided by community managers. Five-day passes start at NT$4,000, and monthly plans are NT$10,000. Long-term and early bird memberships come with preferential options.